The men’s SS18 shows are almost upon us. Shaking up the schedule this season are the likes of Jonathan Anderson and Off-White’s Virgil Abloh who have both been announced as guest designers at the Pitti Uomo tradeshow in Florence. Impatient fans of Off-White will rejoice at the small peek at what to expect from the show. 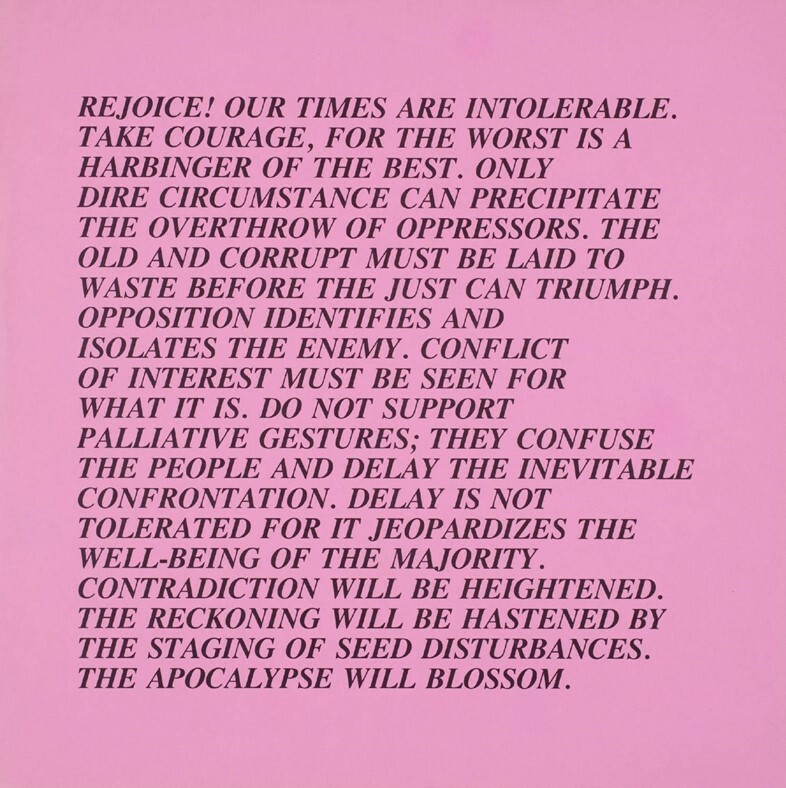 Yesterday a teaser was posted on the founder’s Twitter account announcing that artist Jenny Holzer will be collaborating on the upcoming collection entitled ‘Temperature’. No stranger to collabs, Abloh has previously partnered up with creatives like artist Brendan Fowler and Tremaine Emory and Acyde of No Vacancy Inn. Famed for her use of words and public spaces, Holzer has branched out into the world of fashion before, most famously working with the industry-shaping Helmut Lang. They came together for the first time at the Florence Biennale in 1996, working together for a number of years on projects that undoubtedly shaped the way brands approached retail spaces and advertising. The most well known perhaps being a fragrance campaign created with art director Marc Atlan. No doubt the collection will feature Holzer’s iconic bold, graphic typography, but you’ll have to wait until June 15th to see what the show holds. Head to the gallery above from backstage images from the AW17 collection and keep an eye out on Dazed for more from the SS18 shows.